We’ve said this before, and we’ll say it again: when it comes to window cleaning in Detroit, Troy, Birmingham and Bloomfield Hills, you’ve got a whole lot of choices. The Detroit metropolitan is a big, busy, bustling place, after all, and everyone who lives there needs window cleaning in one form or another. Post-construction window cleaning is a slightly less hectic field, simply because it’s more specialized. That’s not to say, however, that we haven’t also got a whole lot of competition in this area too here at J&M Window Cleaning. If you’ve started looking for post-construction window cleaning in Detroit, Birmingham, Bloomfield Hills or Troy, you probably discovered pretty quickly for yourself that you’ve got a whole lot of options! In these circumstances, it can naturally be difficult for any single company to separate themselves from the crowd. At J&M Window Cleaning, we believe we’ve actually got a few distinguishing features, but some are obviously more eye-catching than others. Perhaps none of these, however, are quite as eye-catching as our 100% satisfaction guarantee. There are no strings attached here, and no sneaky terms or conditions. It’s exactly what it appears to be – a complete and utter guarantee that you will be fully satisfied with our post-construction window cleaning work. Of course, we like to think that we do a pretty darn good job with our first attempt, here at J&M! On very, very rare occasions, though, it happens that our client isn’t completely happy with the job we’ve done. Perhaps we’ve made a small mistake (as everybody does, from time to time), or perhaps there was simply a mix-up in communications between us and them. Whatever the specifics, you should know that – if you find yourself in these circumstances, after hiring J&M for some post-construction window cleaning – literally all you have to do is pick up the phone, dial our number, and explain the issue. After a quick discussion, we’ll come right back out to your property, clarify one final time what the problem is, and then immediately rectify it. It’s as simple as that! 99.99% of the time, the issue will now be resolved, and you’ll be left with picture-perfect windows that you’re completely happy with in your newly-built property. Our 100% satisfaction guarantee doesn’t end there, however. If you’re still not pleased with our work after we’ve returned to the scene, then we’ll give you a full refund on your payment, no questions asked. We’ll still shake your hand, wish you the best in your property dealings, and hope to get the chance to clean your windows again in the future! You’ve heard the saying “there are no sure things in life”… and this is generally true! 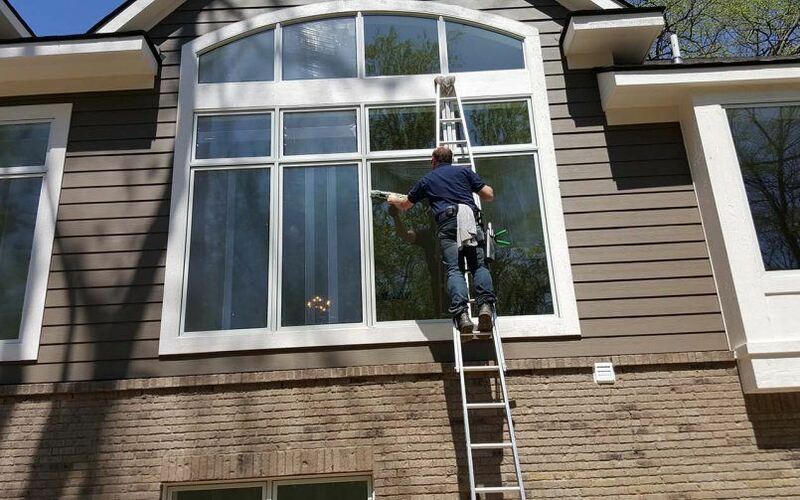 When it comes to post-construction window cleaning in Birmingham, Bloomfield Hills, Detroit and Troy, however, there is actually one sure thing – J&M Window Cleaning. Our 100% satisfaction guarantee is the absolute definition of a “win/win” for you. To take advantage of this opportunity today, just call us on (248) 605-2243, or send us an email at CleanWindows@JMWindowCleaning.com.